Never be at loss again. Just log and forget. When did the baby last eat? Keep log of feeding times and know when it's time to eat. What did the baby eat? 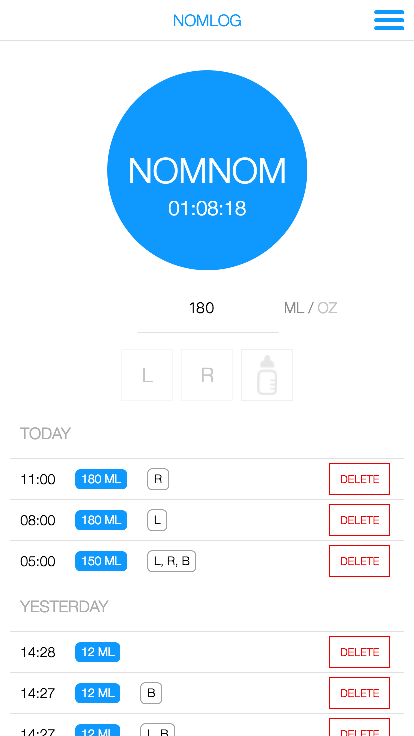 Track what your baby ate (breast milk or formula). Easy day overview. See overview of the day's meals and total amount in a glance. Stay on top. Setup notifications to keep up with the planned feeding times.